Happy New Year y'all! Can you believe it's 2018 and TEN YEARS ago, the Jonas Brothers were in their prime? I can't. I've seen a lot of people on social media this week who are either completely for or completely against making new years resolutions. Personally, I think they're fun and it's great that a new year provides motivation to accomplish something that you've been putting off. 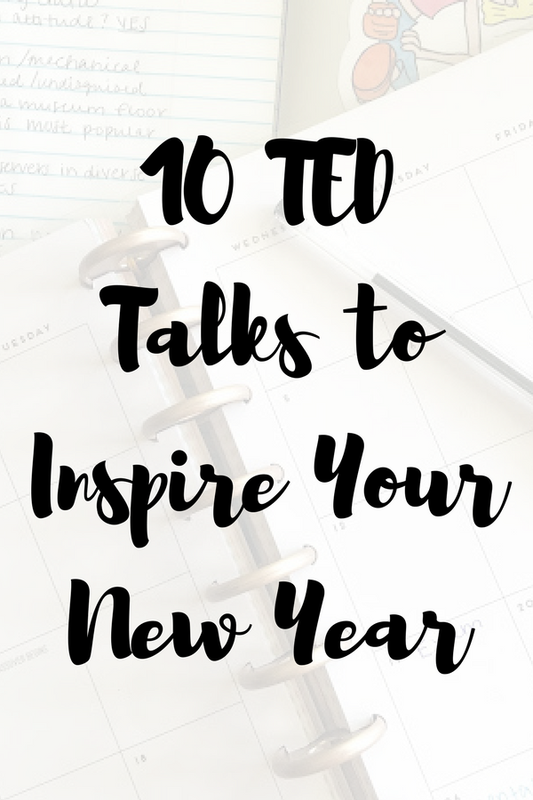 Whether or not you believe in making resolutions, these 10 TED talks are inspirational and will help with improving your mindset and introduce you to some new ideas for 2018. This is probably my favorite TED talk of all time! It breaks down the concept of being "too busy" and explains the art of efficiency and prioritizing. It discusses setting goals and then breaking them down into small steps you can take in order to reach those goals. 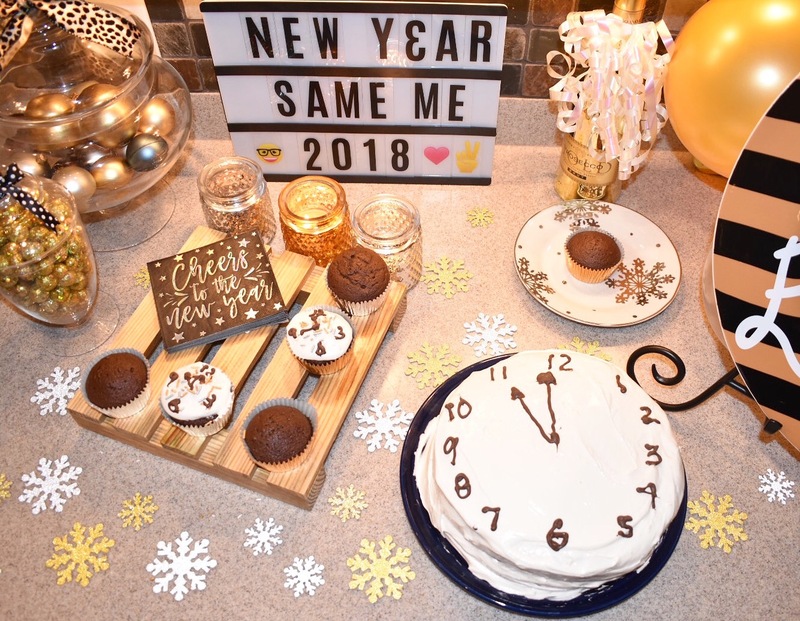 This talk is perfect if one of your new years resolutions is to improve your time management skills. Shonda Rhimes spent a year saying yes to everything - even if it scared her or it was something she didn't really want to do at the time. It changed her perspective and she started saying yes to less work and more play - spending time with her family. This is a great talk for conquering those resolutions to be adventurous or step outside of your comfort zone. For women who are starting out in their career or have been working for several years, this TED talk is a great reminder of how women should be working to make sure that they're growing in their company. My favorite tip from this talk was "sit at the table" - where Sheryl mentioned a meeting she went to where some of the women attending decided to sit along the edge of the room instead of around the table with everyone else. This talk is ideal for anyone whose goals are career-centered. This talk is really inspirational for any new years resolutions or goals that you're wanting to accomplish - big or small. Most of the suggestions involve picking up a new positive habit or breaking an undesirable habit for just 30 days. The speaker mentions that you can do pretty much anything for 30 days if you have enough motivation and desire. This talk works for any resolution that you might have! This talk is probably my second favorite of all time! I love hearing the breakdown of time spent on our smartphones, but even more than that, I love seeing the real results of what people are able to accomplish when they actively take a break from their phones and give their minds the opportunity to wander. I never realize how addicted to my phone I am until something like this reminds me. This talk is a must-watch for anyone, but especially perfect if your resolution involves a digital detox! If you're seeking to improve your happiness not only in work, but life in general, this one's for you. Not only does the speaker address the concept of how a positive perspective changes your experiences, he also provides specific examples that bring the concept to life. Plus, he's pretty funny! This talk is great if you're wanting to add more positivity and happiness to your life in the new year. Another funny talk, this one isn't so much educational, but a little more introspective. If you consider yourself a procrastinator, this talk will help you visualize your mind leading up to deadlines, with a comedic twist, of course. It also briefly discusses how procrastination can become a much bigger problem if you're not aware of its impact. This talk is for you if your resolution involves reducing procrastination and getting better at working towards your goals! Similar to Try Something New for 30 Days, you can apply this talk to just about any goal that you're trying to reach or any area of your life that you're trying to improve. It gets into the details of acting in a performance zone and acting in a learning zone so that you're conscientiously aware of the actions you're taking and making sure they're specific to improvement or excellence. This talk will help you accomplish any goal or resolution for improvement! Perspective is at the forefront of this talk. Based mostly on her experience with young kids, Carol discusses the power of "not yet" and the benefits of believing that you have the ability to grow, even if you aren't capable of doing something right now. 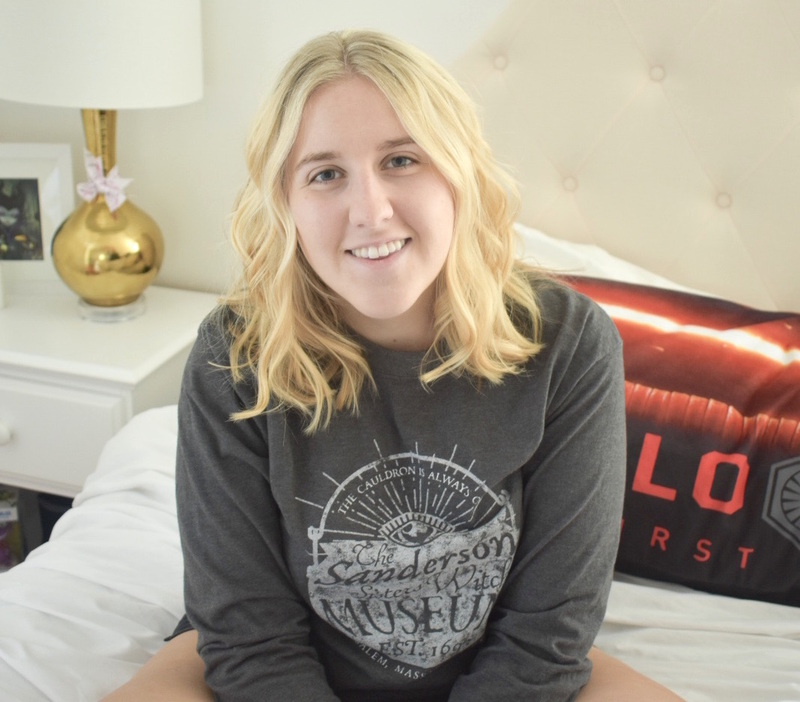 She emphasizes the importance of seeking improvement and growth and actively pursuing positive change. This talk is helpful for any resolution, particularly ones that you've struggled with in the past! In every workplace, there are givers who look for ways to help others and there are takers who look for opportunities to help themselves. There are also matchers who match the behavior that they're being shown. This talk analyzes how these two types of people influence the workplace and will help you determine which type you are. This talk is beneficial if you're hoping to improve at work, especially on team projects and collaborating, or improve relationships.